Sleep Paralysis. On an average, 8 percent of the general population have experienced REM atonia (sleep paralysis). More could be determined if we factor in others who have difficulty sleeping and/or suffer from mental illnesses that disturbs their ability to sleep. Sleep Paralysis is quite common and many people suffer from it. 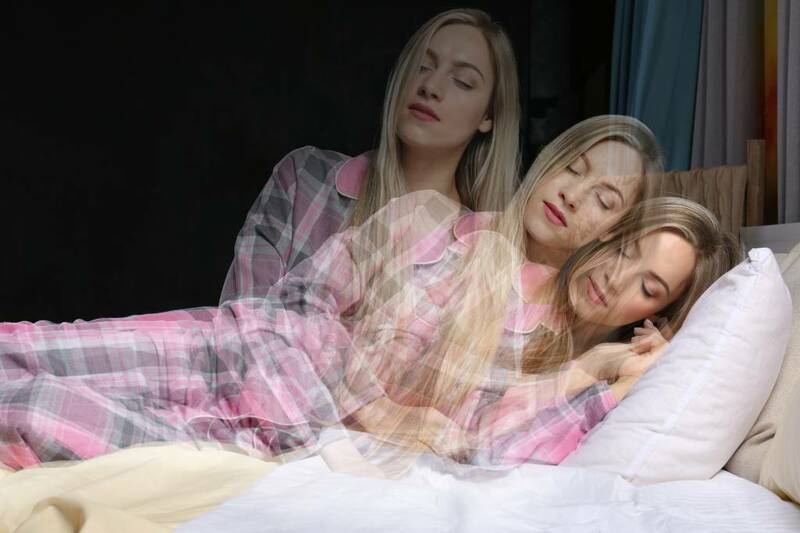 If you are a part of the eight percent who suffer from it, you may often feel like you are constantly battling in your sleep which often leads to a night of little to no rest. Don't worry, here are 3 ways to help alleviate sleep paralysis so you can get a more peaceful nights rest. Too often we come in from a long day and crash. This does not allow your brain time to process the day and conduct a proper shut-down routine. Before diving for the bed, try taking a hot shower with some light music in the background. This signals your brain it's time to wind down and that you would like to relax. Don't be shy, throw in a few essential oil shower bombs to seal the evening. Be sure to avoid any stimulating essential oils like peppermint, rosemary or grapefruit. Instead, reach for lavender, lemon, or ylang ylang. These have been known to help develop a relaxed state of being. Mindful Meditation focuses on bringing your thoughts and their surroundings to the present. When combined with deep slow breaths, this helps your brain process your current thoughts thoroughly and empty it. To assist in this process, choose a focus. Whether it's a positive affirmation or hum, your focus should assist in eliminating any negative thoughts of your day. Let go and relax, there is no right or wrong way to meditation, experiment and find what ways benefit you the most. If you find yourself caught within an episode, do not panic. You've prepared yourself for a good night’s rest, remain calm and in a positive state of mind. Lightly send notice to your brain that you are awake by breathing deeply and slowly while lightly moving your body. Start with your toes and work your way up through your body to your feet, fingers, hands and eyes. The goal is to end the atonia and allow your brain and your body to become awake at the same time. Remember, you aren't the only one experiencing the effects of sleep paralysis but you can take stride to alleviating its symptoms and take back control of your rest.